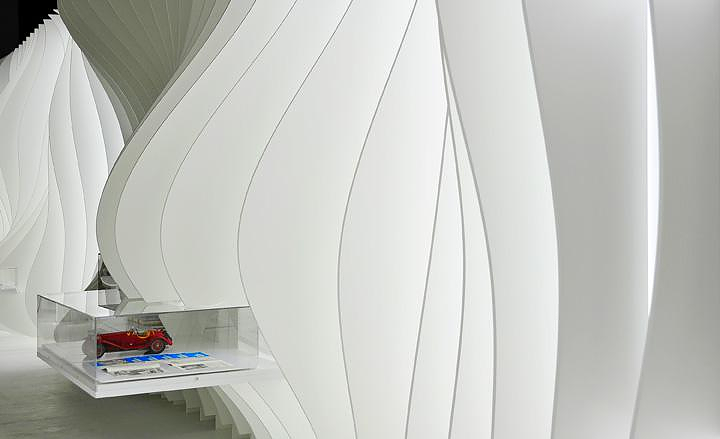 HomeBlogArchitectureEnzo Ferrari Museum by Future Systems. 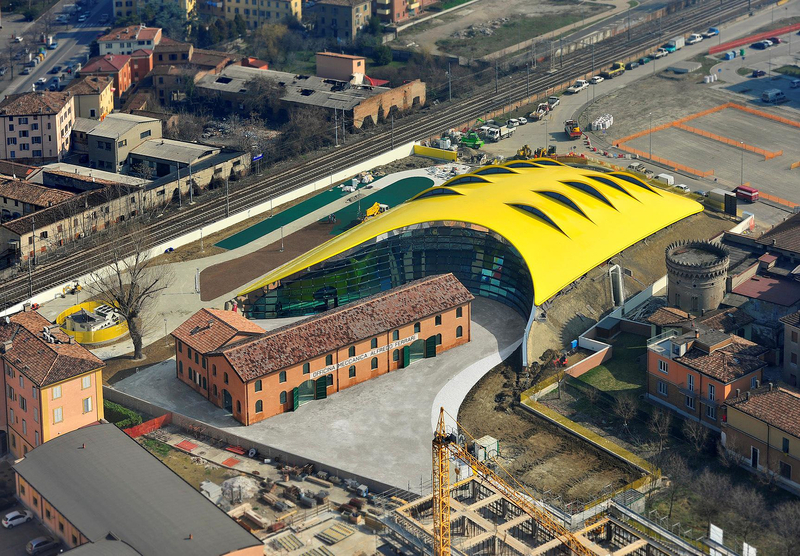 The Museo Casa Enzo Ferrari is now officially open in Modena, Italy. 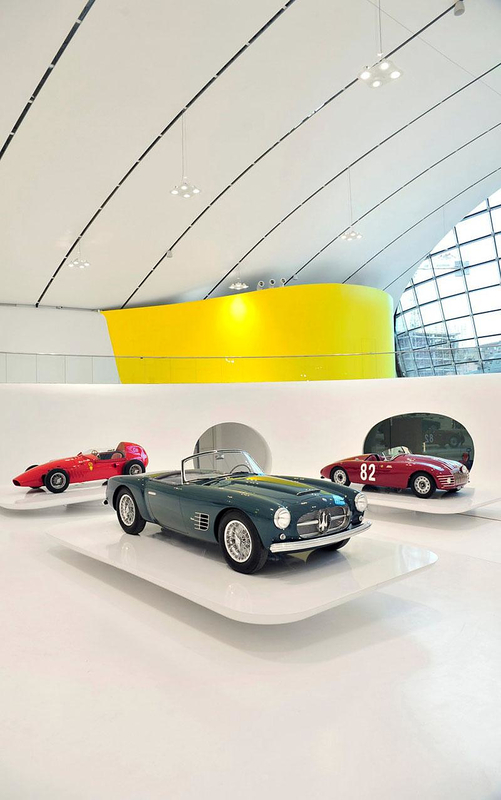 Unlike the nearby Ferrari Museum in Maranello, this awesome museum is dedicated to the man behind the iconic brand and not to the cars themselves. 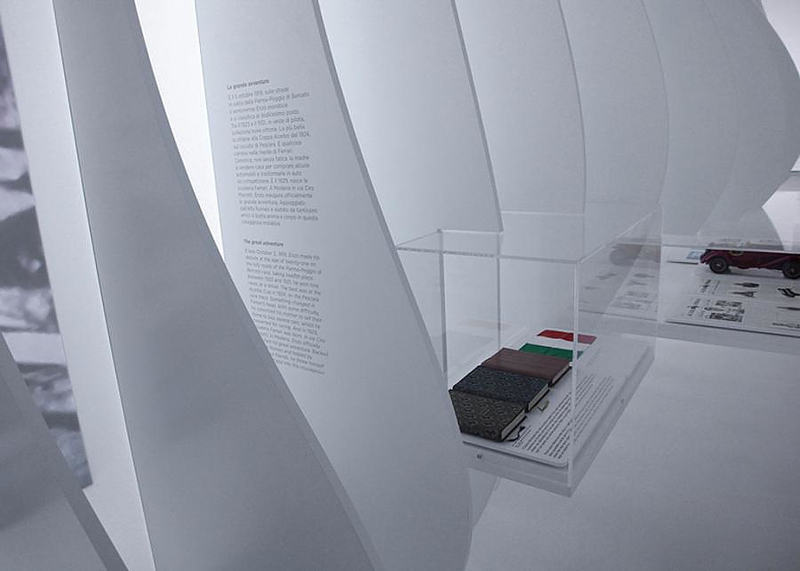 The museum facility is an interesting blend of old and new, technology and tradtion. 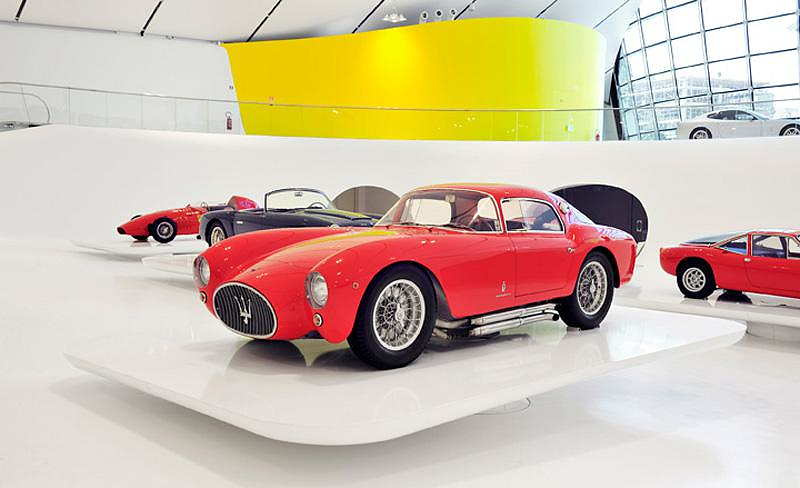 It is located near the Maserati plant and incorporates the birthplace of Enzo Ferrari himself, as well as his workshop, combined with a futuristic new building designed by Future Systems. 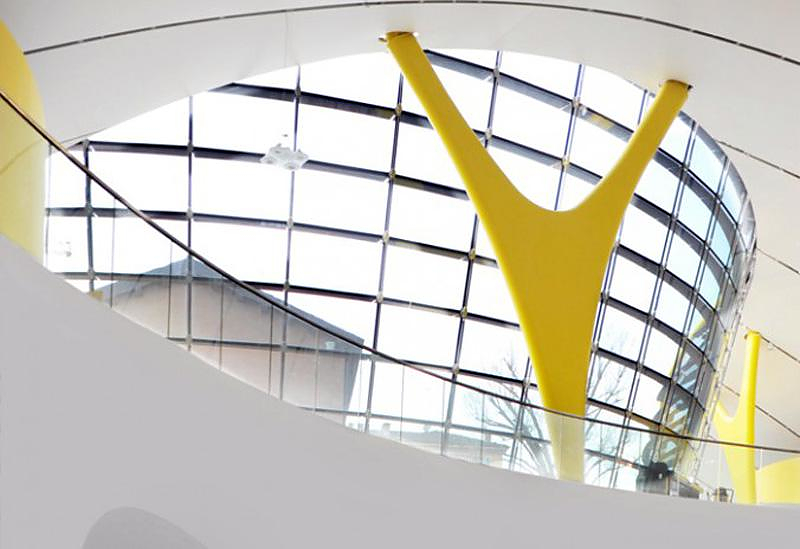 The museum’s new building was designed by architect Jan Kaplický, who died before its completion, and Andrea Morgante, who completed the project.Its roof resembles the shape of a race car hood, while the characteristic roof windows are inspired by the air intake vents found on Ferrari racing cars…. 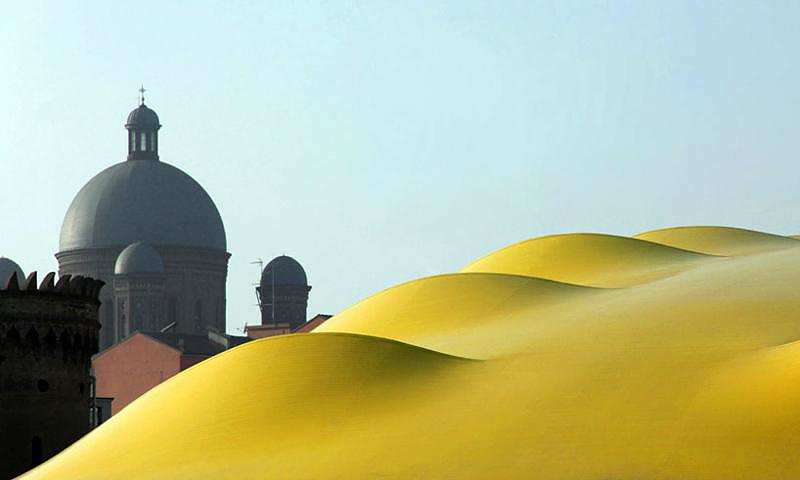 It is painted in bright yellow, the same shade as seen Ferrari’s emblem, where it forms the background for the prancing horse (Cavallino Rampante), it is also the official color of Modena. 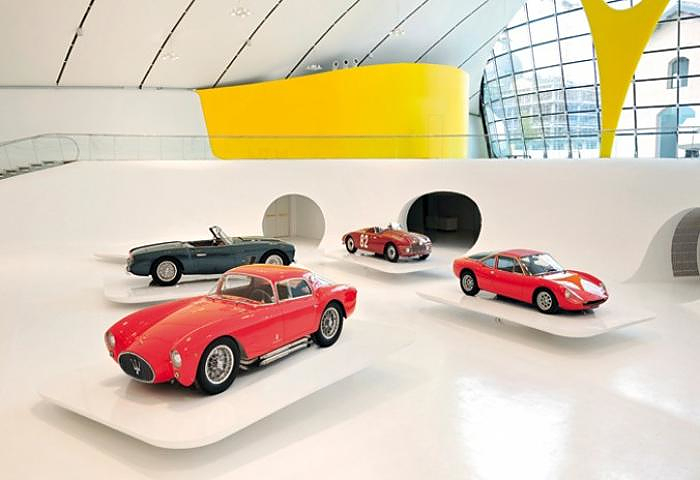 The museum occupies some 6.000 square meters of floor space and includes a digital archive, a conference room, a café, a gift shop and of course many beautiful historic cars. 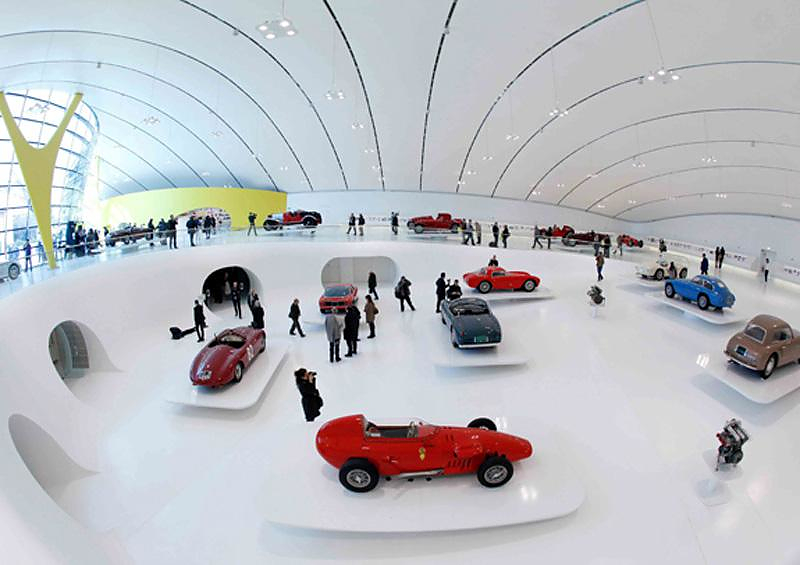 The Museo Casa Enzo Ferrari is a stunning museum complex with an equally impressive exhibits. 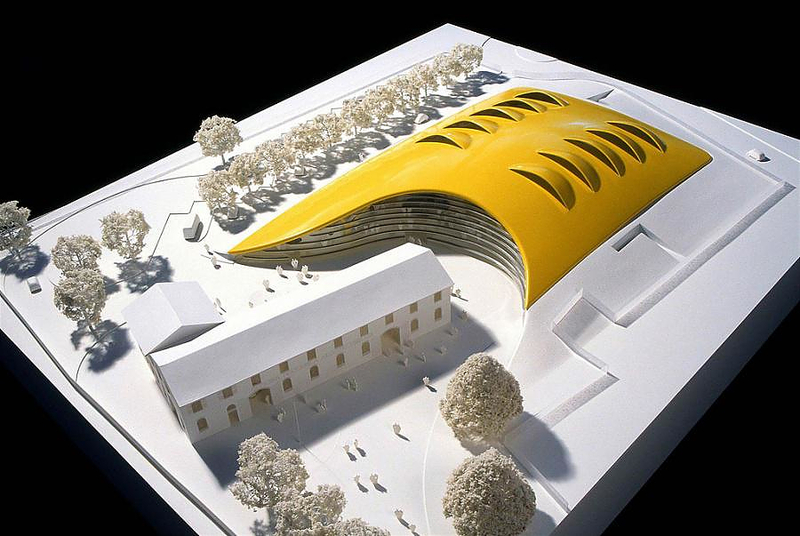 Kaplický wanted to create a dialogue between the two main buildings (the old and the new) and it was his intention to show consideration for Enzo Ferrari’s early home. 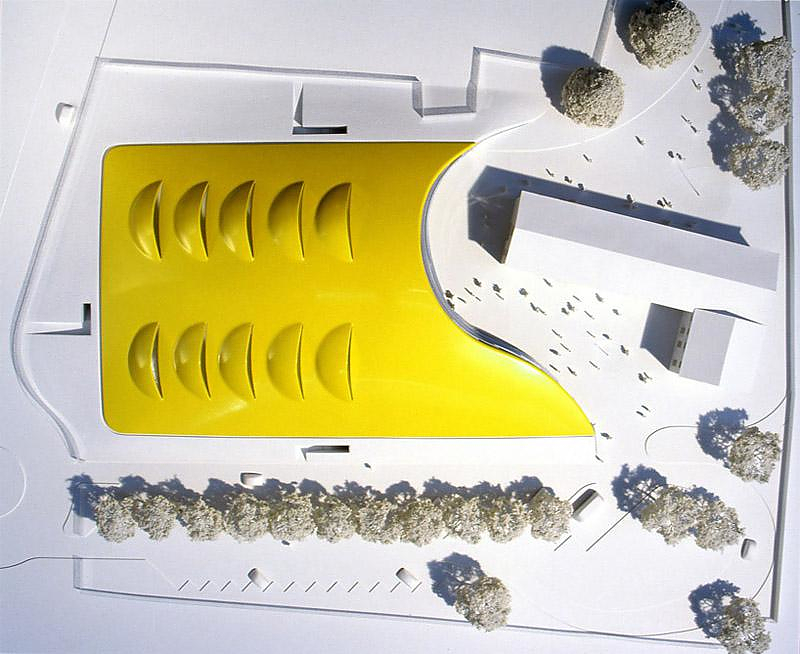 He underscored the importance of the bonding both exhibition spaces into a unified complex and combined ideally both buildings without the new overshadowing the old. 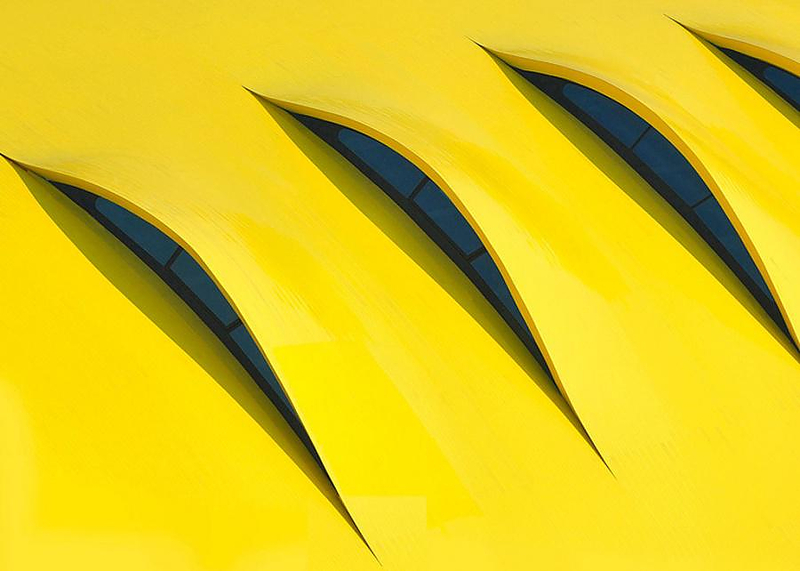 The sculpted yellow aluminum roof with its ten incisions, intentionally resembling the air intake vents on the hood of a race car, allows for natural ventilation and day lighting, while taking into consideration the aesthetic values of car design. 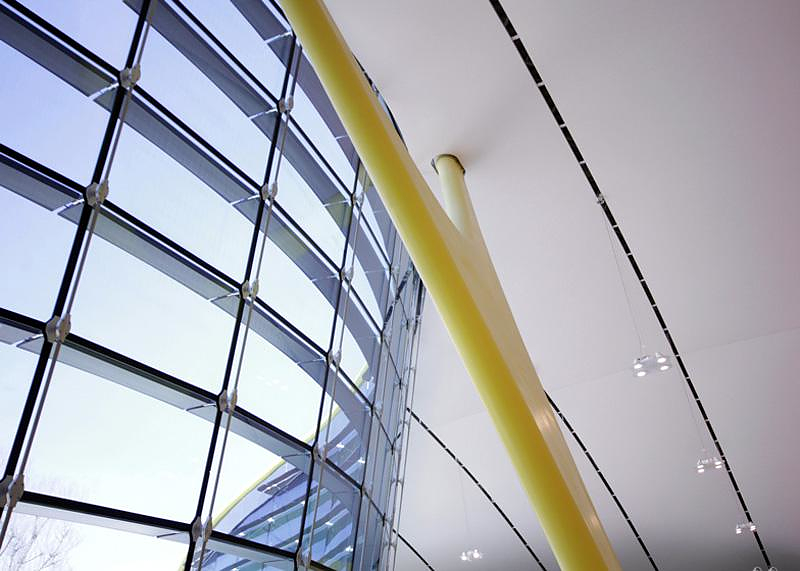 It is constructed from aluminum sheets fitted together using a patented tongue and groove system. 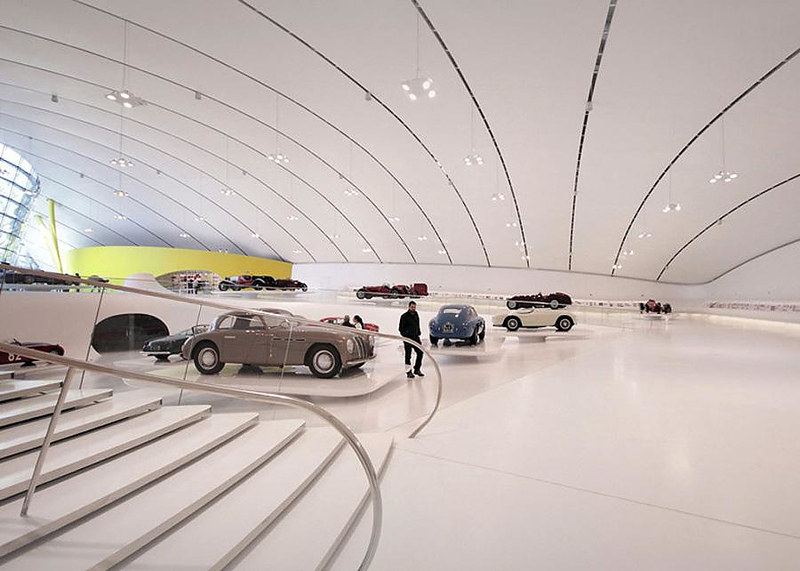 With its 3.300 square meters of double-curved aluminum, the Enzo Ferrari Museum roof is the first application of this material in such a large scale. 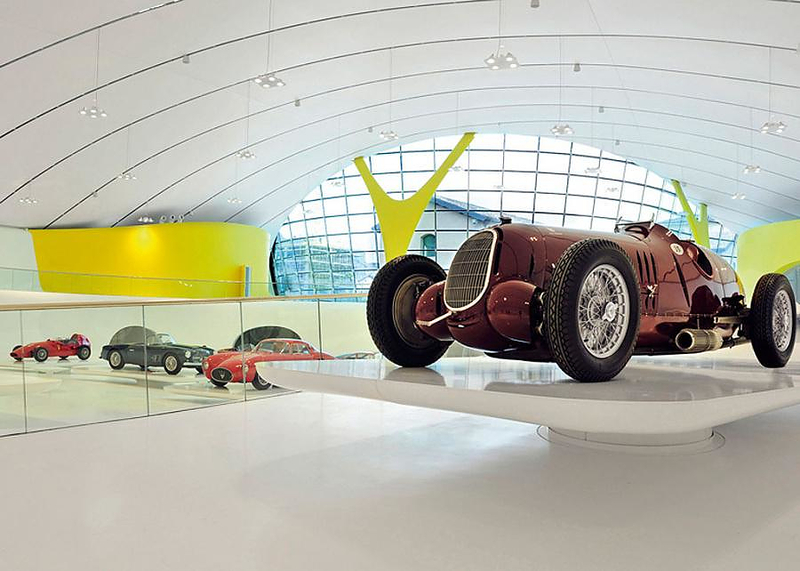 Moreover the Enzo Ferrari museum compound has been built with energy conservation and environmental sustainability in mind. 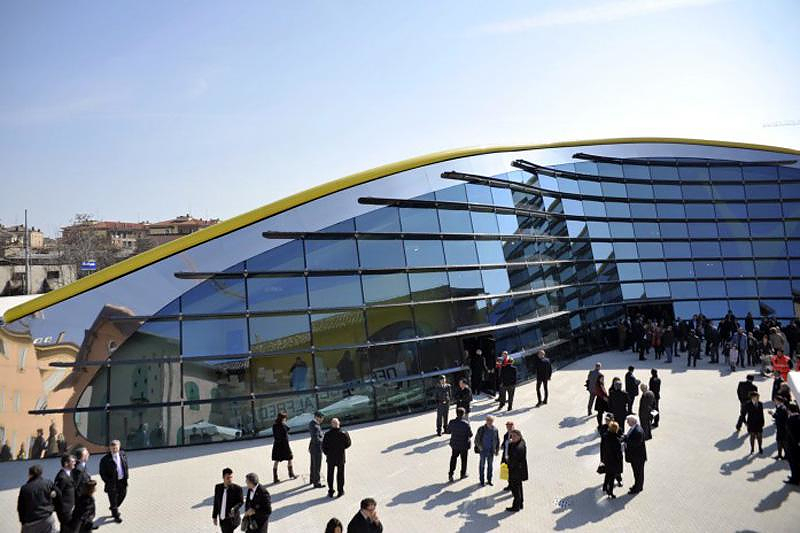 It was designed according to the latest bio-climatic technologies and many innovative materials and solutions were implemented. A geothermal power source supplies the air-conditioning systems, solar thermal collectors are used to produce hot water, and all lighting systems are powered by photovoltaic panels installed in the sound barriers next to the railway lines. 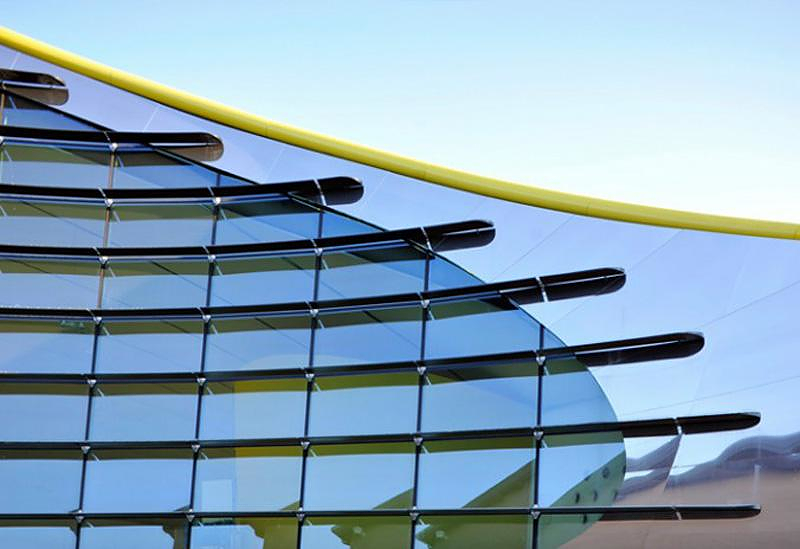 All these advanced technological choices aim at creating a building which respects not only the well-being of the visitors but also the environment. 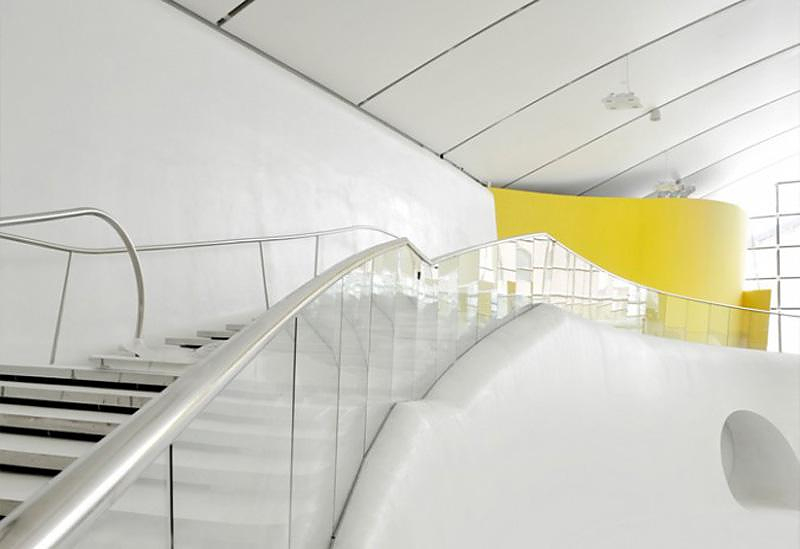 Upon entering the building, the visitors have an uninterrupted view of the entire exhibition space, a large futuristic white room, where the walls and floor are perceived as single surface, and a stretched semi-transparent membrane spread light evenly across the roof. 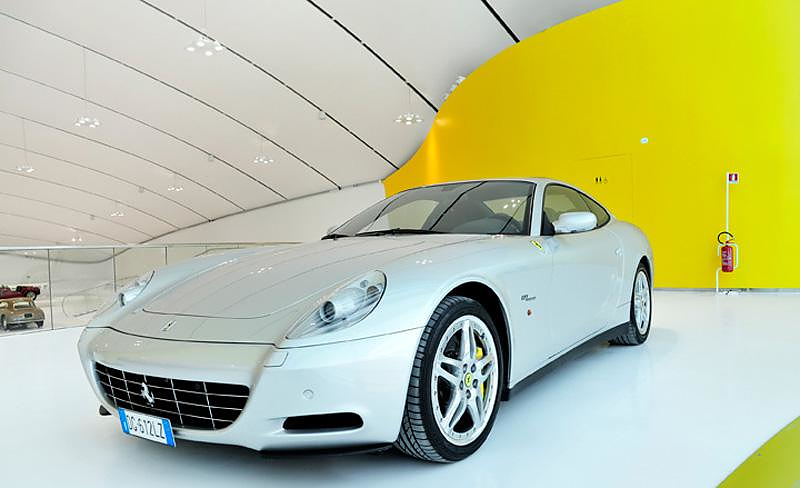 Along the circulation path the visitors will have the chance to see many historic Italian cars, not just form Ferrari. 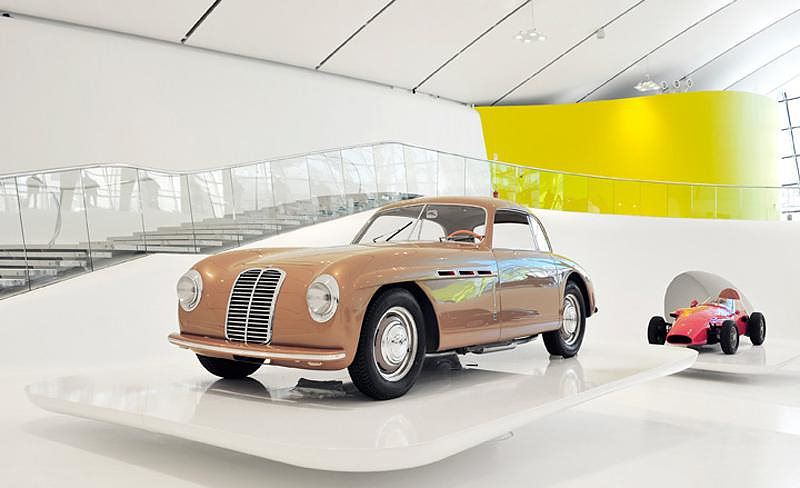 There are many beautiful Alfa Romeos, many of which were designed and/or raced by Enzo Ferrari, an avid race car driver. 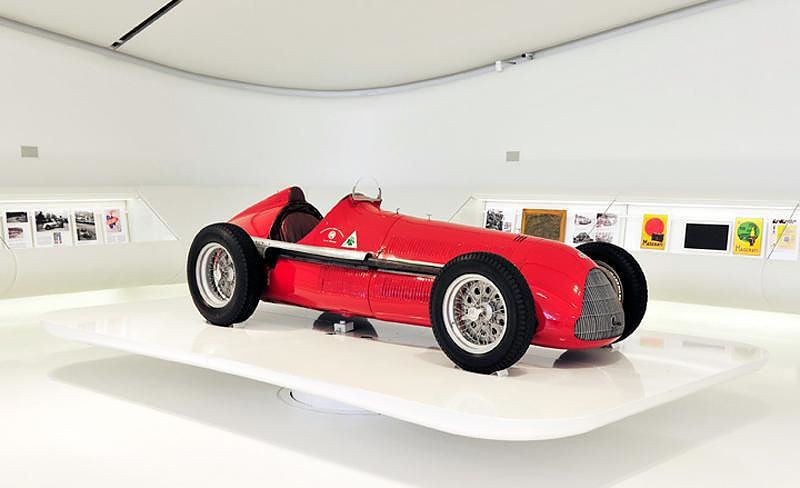 Among them the “Alfa Romeo Bimotore”, the first car ever to wear the “Prancing Horse” often dubbed “the first Ferrari”. 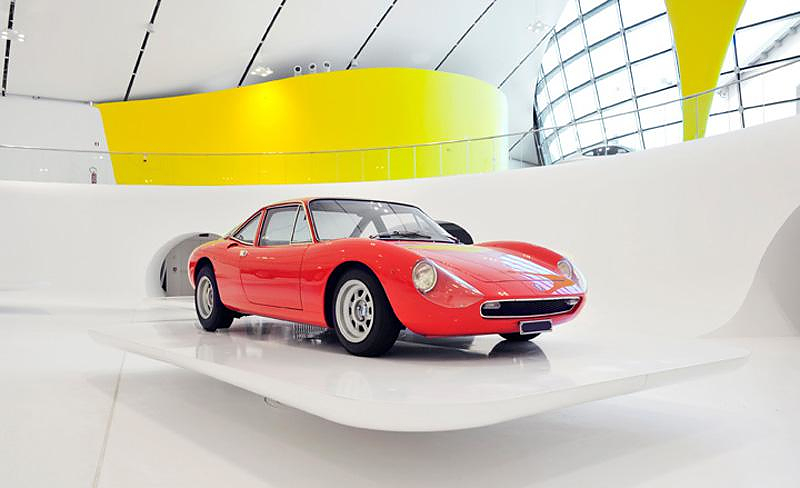 There are also quite a few impressive Maseratis, such as the glorious “Maserati A6GCS Berlinetta Pininfarina” and my personal favorite, an ultra-rare “De Tomaso Vallelunga” by Ferrari’s rival De Tomaso. 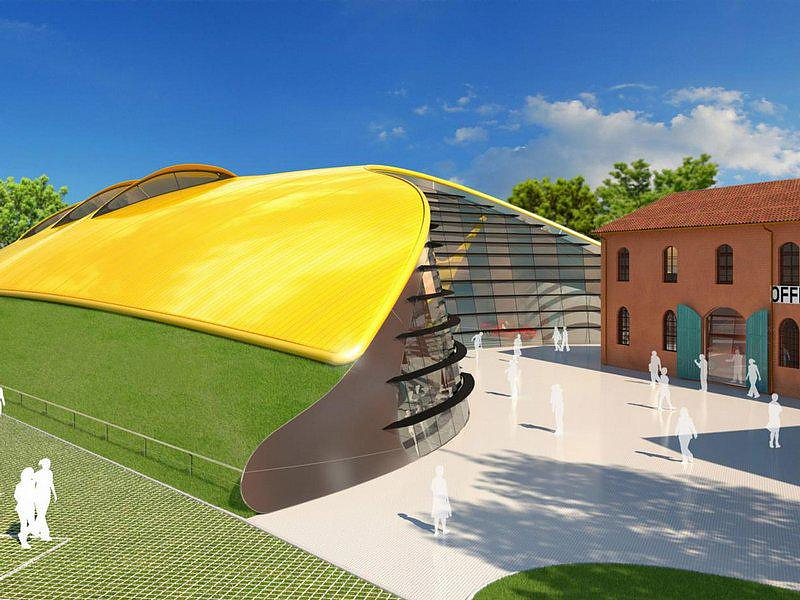 So if you were looking for an extra incentive to visit Modena in Northern Italy here it is, the awesome “Museo Casa Enzo Ferrari”.